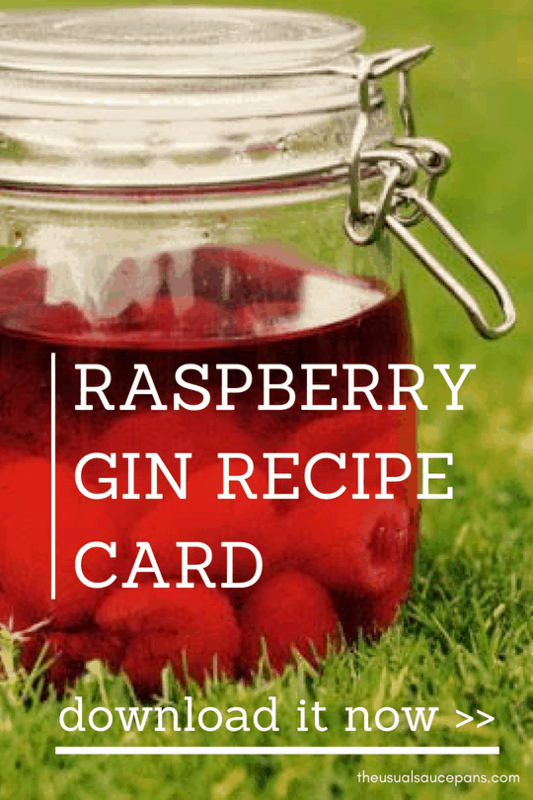 I’m going to put it out there and say that this is the only raspberry gin recipe that you will ever need in your life. It’s ridiculously simple, and the only hard part is that you have to wait two weeks for it to be ready. I absolutely love raspberries. I used to love picking a handful of the ones in our garden as a kid and sneakily eating them thinking no one would ever know (I suspect my face was probably covered in the juices, making it more than a little obvious…). These days I’m a little older – although still not always capable of eating without it ending up all over my face – and have realised that raspberries are even better when they are made into gin. Together the raspberry and gin flavours make the perfect combination for a long summer drink. A little tart, like all the best raspberries are, this gin is so good you may suddenly find the bottle is considerably more empty than you imagine, but also that you and your friends can’t help but lick your lips. It is a recipe you can make over and over again (believe me, I have). Change the sugar to your own tastes and use frozen raspberries if they aren’t in season when you want some (although fresh, plump, juicy raspberries will always be best). 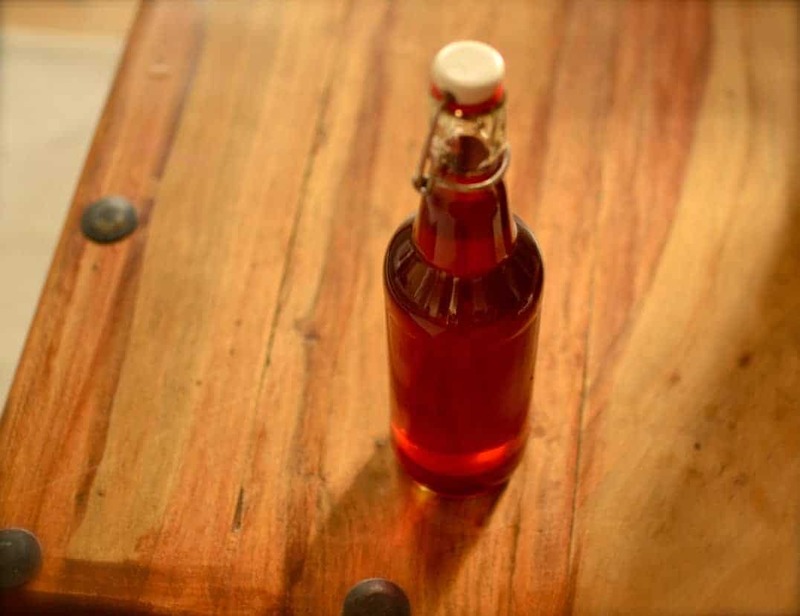 You can also use this recipe for seasonal versions like mulled gin or one with apples and brambles – it is really up to you to start exploring. 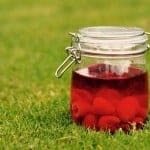 If what I’ve found is anything to go by, this raspberry gin recipe is the only one you will ever need. It’s a crowd pleaser, a great present, or simply the perfect way to relax and enjoy whilst catching up with friends. Give it a go and let me know how you enjoy yours. This is an adaptation on my Lime and Chilli Gin. I used Gordon’s gin as my base; the subtleties of a better gin might well be lost to the fruit. At the other end of the scale, one that tastes of paint stripper to begin with will just taste like raspberry paint stripper at the end. I tend to make mine in a 1 litre jar, so there’s room to shake it. 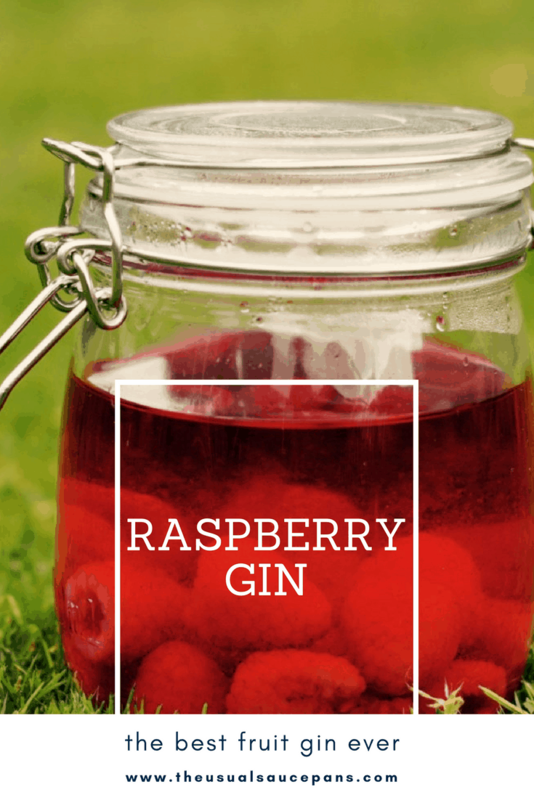 It takes two weeks to make and produces 750ml of raspberry gin. Place in a cool dark place and leave for two weeks, giving it a shake as you pass every couple of days. When it has turned a deep pinky-red colour take it out and strain to remove and bits. Pour into a sterilised bottle. Enjoy (ahem…) responsibly with friends; serve over ice with tonic and raspberries to garnish. 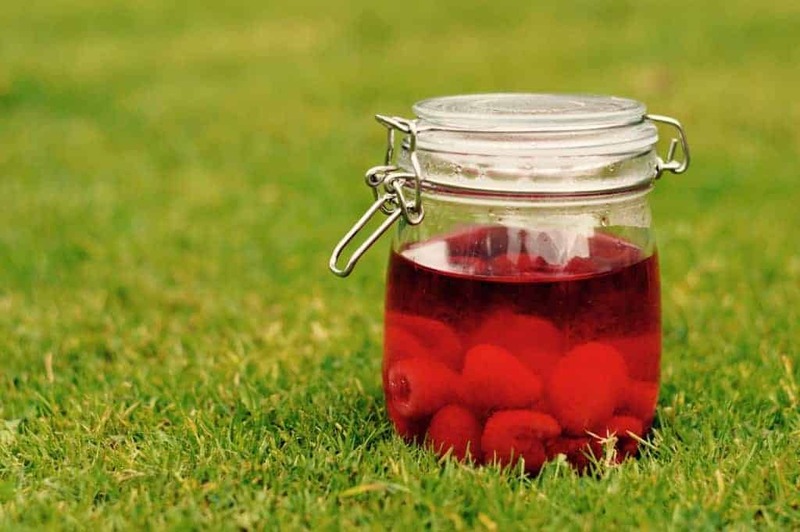 I miss our flavoured alcohol adventures – your raspberry gin looks fabulous! They were fun, weren’t they. Thanks, I started making orange gin the other day, so thought I’d share the raspberry variety whilst I was waiting to taste the orange! 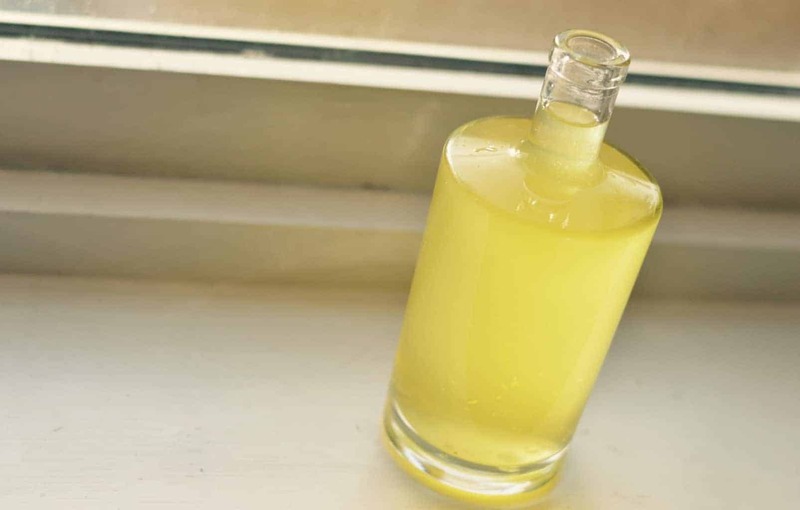 I make limoncello and assumed it would be the same process so I’ve added the raspberry to the Gin and left it and was going to add a simple syrup, but just seen there is no water required. Can I just add the sugar now?? Yup! You could make a simple syrup and do it that way, but I usually just add the sugar and use the gin to dissolve it over time, works a treat. Yeah, I would say so – maybe cut the sugar down a little. Is it normal for the fruit to float and look paler after a few days? Its my first time making flavoured gin I’m and unsure how its supposed to look! Yeah, I would say so – it’s just seeping out into the gin (that’s what’ll give it a red hue). Hope it goes well! Hmmm, no afraid not a specific one for coconut. You could try it with desiccated coconut, or perhaps fresh? I would just leave it to infuse for a bit less time. Good luck, let me know how it goes! I started on the raspberry gin for very similar reasons! Hope it goes well for you, raspberry gin is amazing. Hi Carol, to be honest I don’t know – it’s not something I’ve ever measured. I tend to start with a pre-made gin, so I would say broadly similar to that bottle. Sorry for not being able to be any more precise! Hi Rosie, It should keep for about 3 months in the bottle, so technically I guess yes. But I would leave it until the end of October if it was me (if you’ve fresh raspberries now you could always freeze them until then). Hope that helps and your gin is delicious! I have been making raspberry gin for a couple of years since testing Foxdentons. Started making cherry brandy and apricot brandy now. Another favourite is a fresh pineapple chopped into a killer had then filled with Malibu…. 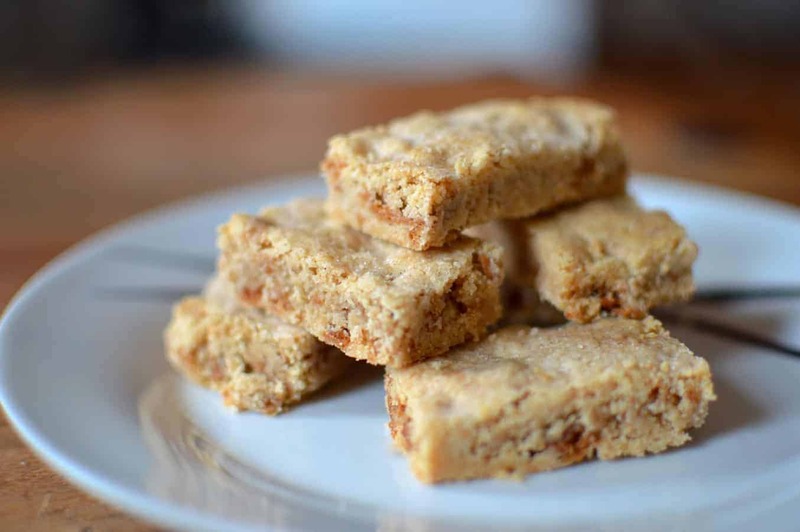 always save the fruit and top with some sponge mixture..bake in the oven delish…. There’s always room for boozy fruit in cake, isn’t there? Hope this year’s selection are great. Enjoy! Hope it tastes delicious, let me know how you get on, or tag a photo on social media someplace! I’ve been making raspberry gin for a few years now and it is, without a doubt, one of the loveliest things ever! I frequently leave mine for several months (til xmas) and the flavour just keeps getting better although it takes some self control to leave it alone. I also think it’s fine without any sugar, just letting the raspberry flavour do its stuff. My top tips for using the fruit afterwards would be to make a coulis to go on ice cream etc or, better yet, to mix with whipped cream and broken meringue to make the best Eton Mess ever. Under no circumstances should you drive after eating this. Haha, I second that on the no driving front! I’d never thought of mixing it into a boozy meringue though, might have to try it. I’m very impressed with your self control though! Tag me on social media if you share photos of this year’s selection, I would love to see them. On a recent jaunt to Scotland I discovered the raspberry Edinburgh Gin. I brought it home to the states and it was nearly gone in a matter of days. Can’t get it here in the states so I am on a mission to make my own. Thanks for the recipe. 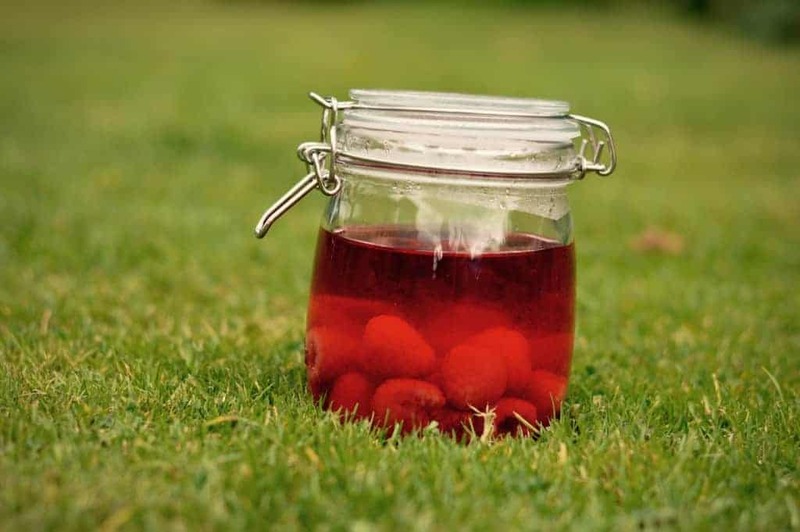 Got some homegrown raspberries left over so going to start two lots of this tomorrow… Will let you know how it goes! Should I alter the recipe in any way? There is quite a lot of sugar, isn’t there? I’m thinking of revisiting this one with less – just depends on the tartness of the raspberries and personal preference I guess. Glad you enjoyed it though. For blackberries, I’d say probably quite similar, since they are also not overly sweet. A friend bought a bottle of Pinkies – hideously expensive – so using the last of THEIR raspberries I am making raspberry gin. BTW Quince vodka is superb, everyone loves it. And blackberry brandy is good too but you need plenty of sugar and don’t shake it too much as it is then cloudy even after straining. Put all the left over soft fruit in a big jar with any left over alcohol and put in a dark place. Result? Rumtoft. Hope it goes well – I love the raspberry gin here, it’s definitely a favourite of mine. I love the sound of the brandy! Might have to try it. Have you tried using a piece of kitchen roll in a sieve to strain it? It sounds ridiculous, but it’s much tighter knit than cloth so strains it really well, you just have to wring it out a bit! Just bottled my first batch of this and the chilli lime, they’re delicious! 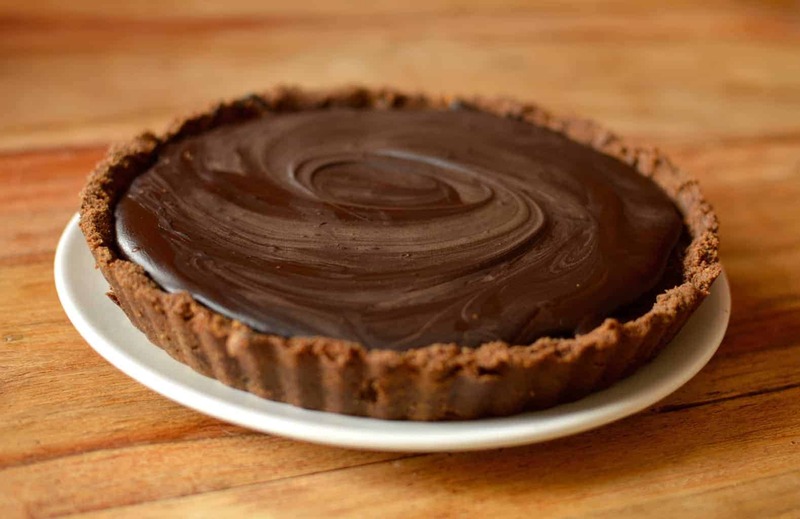 I’m thinking of making more but was looking to use sugar syrup (1:1 ratio) instead of caster sugar (because I’ve made too much), but not sure what quantity to use? Two types of gin? All the better! Hmm, I’m working on a new version of the gin recipe with a little less sugar, so I’d possibly reduce the amount of sugar syrup you use by maybe 20%. You can always add a little more in towards the end if it’s too sharp. My raspberry gin is ‘brewing’ as I type. Lovely pink shade now. I was thinking about using the boozy raspberries to make into chocolate truffles. Anyone know the best was to do this? It’s a long, agonising wait! But at least the colour is great. I’ve never made truffles with the leftovers, so I’m afraid I can’t help you on that one, sorry! I love having it in a hip flask or just as a little tipple to sip at the end of the night. So considering giving this ago but have seen other recipes which say you have to leave the berries in for much longer like months, which makes sense as I left the sloes in for 3 months to get the desired flavour. I really like it just on ice. Not sure how it would be neat without the cold, but certainly would be tasty. There are loads that say leave it three months, but I’ve found that 2 weeks works just fine for most fruit. Just made my first bottle but could you add a glass of prosecco into this mix!!!!! Oh, sounds delicious! Hmm, strawberries break down quite a lot so possibly could have just been filtered more or with a tighter filter? Glad you enjoyed it! And good on you if you have the will power to make it last until Christmas!! Hi, I’ve scaled your recipe up to make wedding favours and currently have over 3L brewing/fermenting! Hate the thought of wasting all the raspberries yet not idea what I can do with that quantity. Any ideas? Could I make it into coulis and then freeze it? I’ve only just seen this, sorry! Hmm. If you’re using crab apples those will be much more bitter, so definitely more sugar. My recipe is about 1:5:15 sugar:raspberries:gin; so depending on your apple:raspberry ratio it will be about that. I would go more raspberry than apple, especially if they’re quite bitter apples. Does that help? Please do! I always love to see how people get on with my recipes. OMG this is brilliant. A great use for some of my raspberries. I didn’t strain it, so I have a few gin soaked raspberries in each gin which gives it an extra kick. Great for a hot day in the New Zealand summer. Thanks! Truly scrumptious is my verdict for this lovely gin! I added some ice and elderflower tonic water and it was amazing. Just making some more today as I am having a small gin tasting party very soon to celebrate my 60th Birthday. I used the raspberries in the gin itself. I made the chilli and lime too and it has a decided kick like a mule!!!! Great verdict – glad you enjoyed it so much. Love the idea of serving with elderflower tonic. Hope you have a great birthday, love the idea of your party! I have been making bramble gin for the past many years to the pleasure of my family and friends. I must try your raspberry recipe as there is an abundant crop this year, probably due to the long hot summer. Love bramble gin! Yup, there’s loads around – definitely a good way to use some up. Oh no! That is sad about the raspberries, but at least you got the gin out of it? They don’t keep for overly long, I find, when they’re out of the gin. Normally mine go in to baking shortly afterward the gin’s bottled. Enjoy! Hi Craig. I have made your raspberry gin earlier this year and it is great. I’m about to start on apple and bramble, though ….. can you tell me why you say to only keep for 3 months? I have made redcurrant gin before and that needed 3 months before it was drinkable! Hi Ann, sorry didn’t see your comment come in. It’s usually three months just so the flavours don’t start to wane and in case those bottles aren’t sterilised properly. I suspect some of the colour might start to drop out as well. If I’m honest, none of mine have ever lasted long enough to be a proper test.